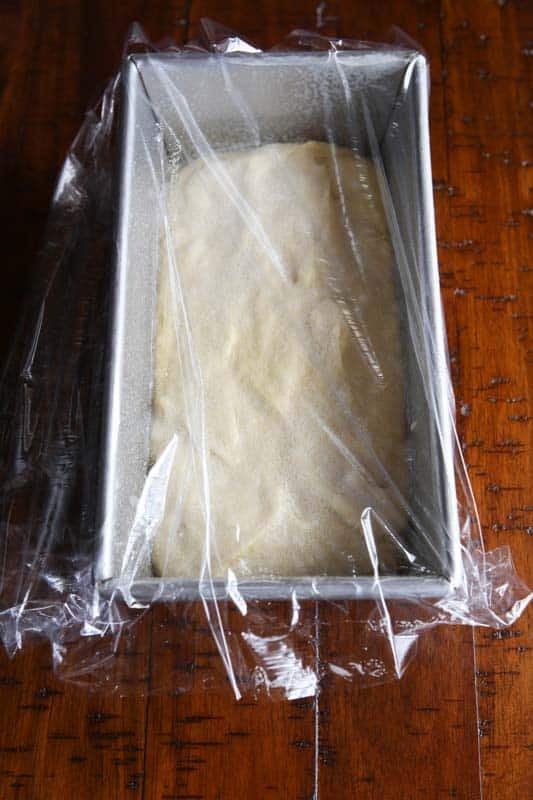 Could you please tell me how to prepare this for baking in my bread maker? Also, is there a difference in using vegetable oil vs canola oil? 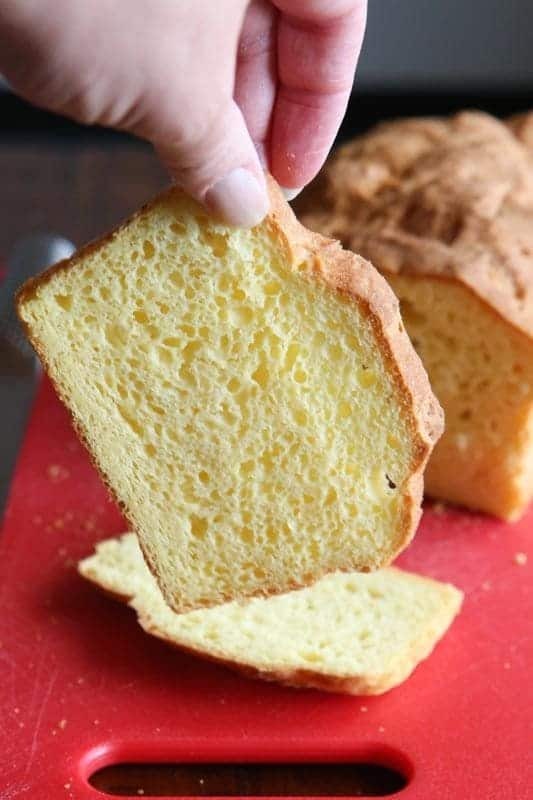 My daughter is 6 years old and has Celiac disease so I have been struggling trying to find recipes to make sandwich bread for her lunches and every single one has turned out as heavy as a brick and crumbly and hard:( so I would love to try your recipe if you could tell me how in my bread maker! Thank you! Happy to help! What kind of bread machine do you have? Hello, I would like to know if flaxseed eggs can be used in this recipe instead of eggs? I know that gluten free baking involves a different kind of chemistry. Thanks in advance for any advice you can provide. I haven’t tried this recipe without eggs. 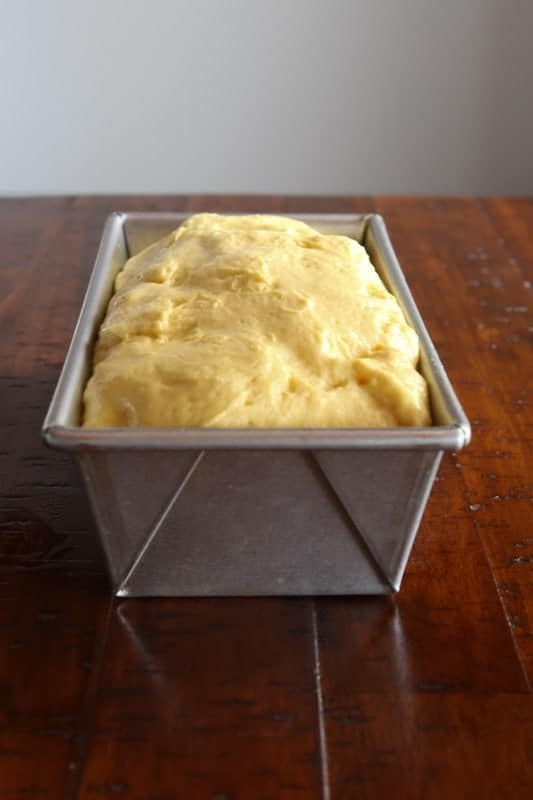 If you try it, I’d scoop the dough into small rolls, instead of a large loaf. I don’t think it would work egg-free in loaf. I’m putting it on my list to try! Thanks for this recipe! I made my first loaf yesterday and it came out great. Even the kids liked it, which was my goal to start with. The local store have everything except millet flour, so I substituted quinoa flour. The only other point of confusion was to learn that tapioca starch is the same as tapioca flour. Today I was able to locate millet flour, so I’ll follow the original recipe and compare. 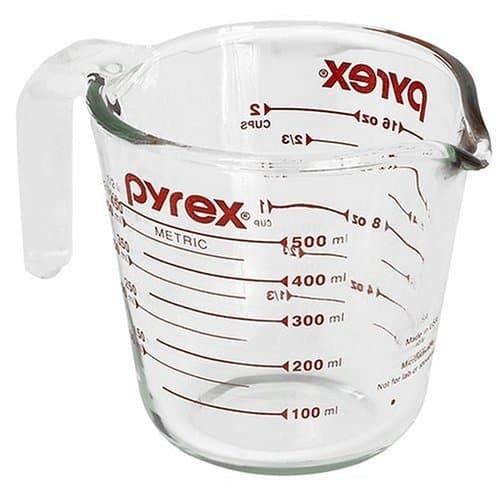 Also I am using an 8.3″ x 4.6″ x 2.7″ pyrex baking pan. I prefer to avoid “non-stick” cooking surfaces with all the bad reports coming out about their toxicity. Thanks again, and I look forward to trying some of your other recipes as well. 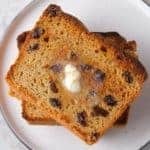 Can you use oat flour in this bread ? If you can’t, why not? Thanks! Replacing the millet flour with gluten-free oat flour should work. The bread might be a litter denser because sometimes recipes made with oats bake up heavier than those made without. That said, I haven’t made this loaf with oat flour. If you do, let us know how it goes. I tried the recipe twice. The consistency is really awesome. The only thing is that there is a bitter taste to the bread. I am thinking it could be the xanthan gum? I don’t think it’s the xanthan gum. Some folks find that millet is a little bitter to them. Perhaps try the bread with sorghum flour? Although their may not be corn starch, any form of corn syrup, and corn flour; it is hard to say that the bread is “corn” free. If an individual has a corn allergy they cannot do xanthan gum. Xanthan gum is a bacteria grown on a petri dish where it is either grown on mold or fed corn. Therefore, it is best if guar gum is used instead. Xathan gum is grown on several different mediums, not all corn. It is not fed corn, rather it can be grown on corn syrup. The final product is free of all proteins and, therefore, can be tolerated by most. 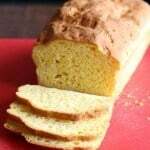 Of course, this can vary by individual but I stand by the fact that this bread is corn-free. My son has an allergy to egg whites but not the yolk. 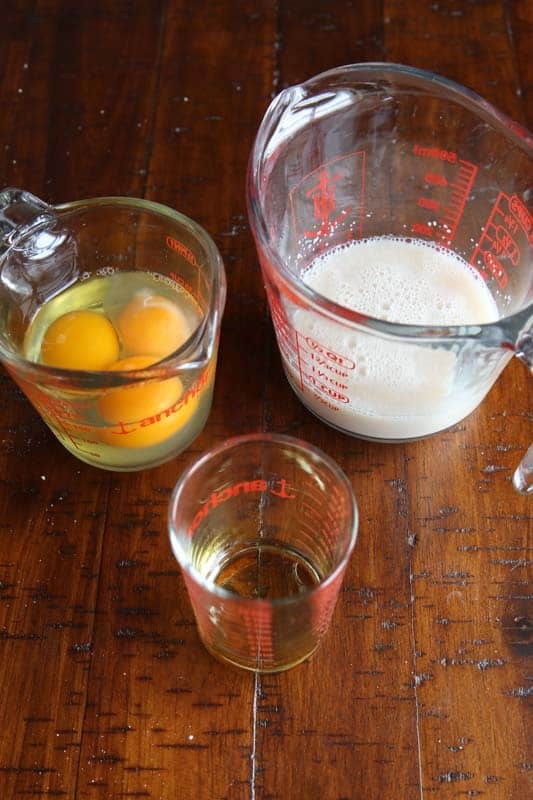 Can I just use the egg yolks in this recipe and not the white? Yes. I’d add an additional two egg yolks to make up for the loss of whites. The bread will be much richer. 🙂 Enjoy! 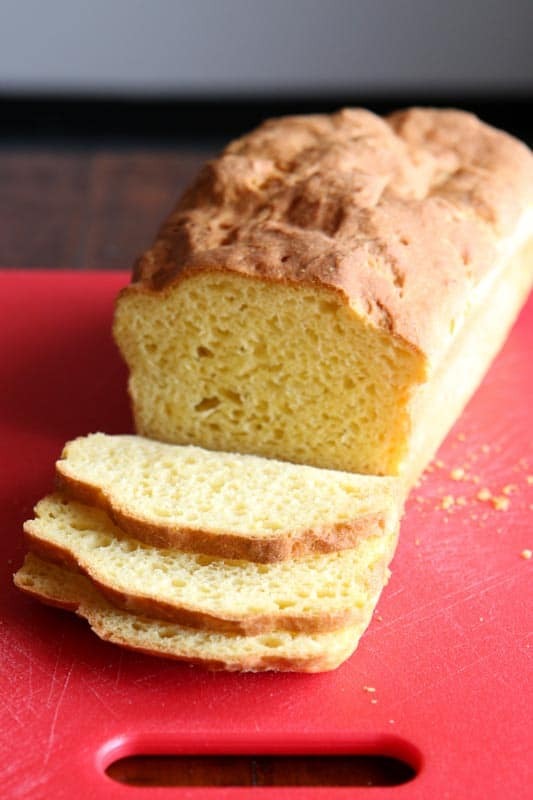 Hi, I just made this bread and it turned out separated – top layer dry and hard, slightly bitter (I’m guessing is the millet), middle layer soft, sticky, chewy but the tastiest (I think the tapioca), and bottom layer not as hard as the top but also dry. 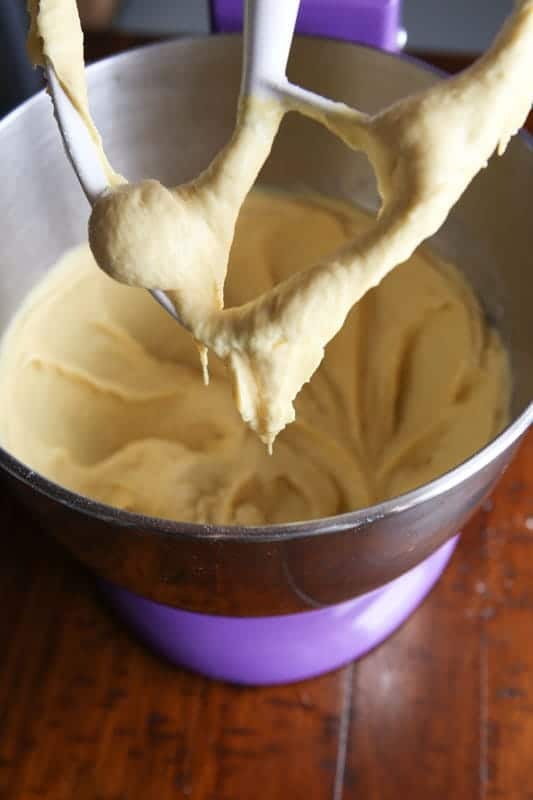 Any idea why the dough separated? It was a very runny dough by the way, I’ve made a different recipe before which was also runny but still turned out ok so don’t think that was the problem. Interesting. I’ve never heard of yeast dough separating. That usually happens when eggs are whipped. Let’s get to the bottom of this. 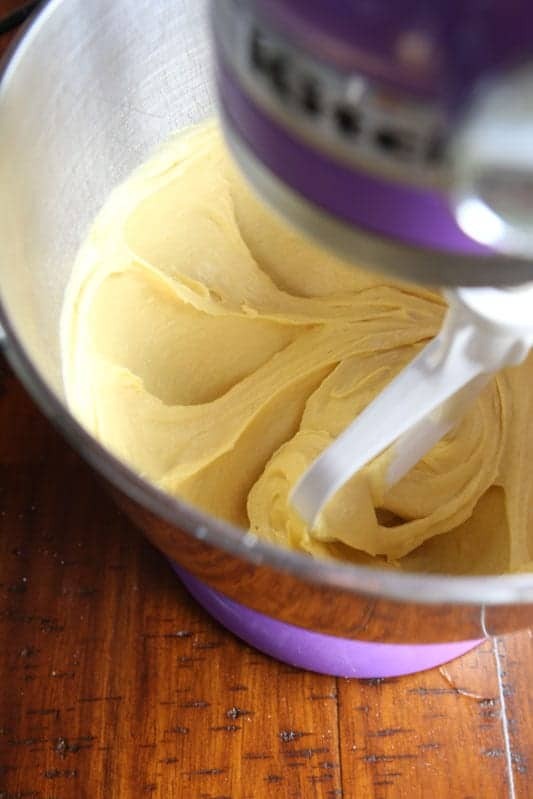 What type of mixer are you using? Also, what part of the world are you in? (Wondering because altitude and ingredients can affect recipes. Just a general area is fine.) Thanks! I’m in Southeast Asia – hot weather, but even though I get a runnier dough they usually still turn out ok. 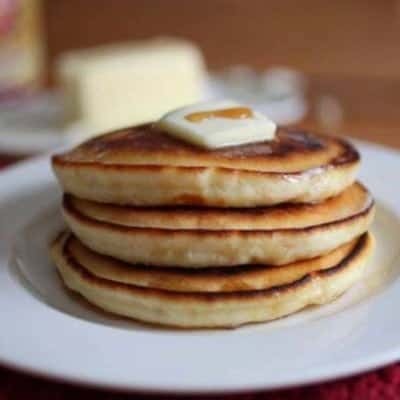 The only difference between your recipe and another one I tried is the kind of flour and an extra egg + a little less water – that shouldn’t be a problem I should think? 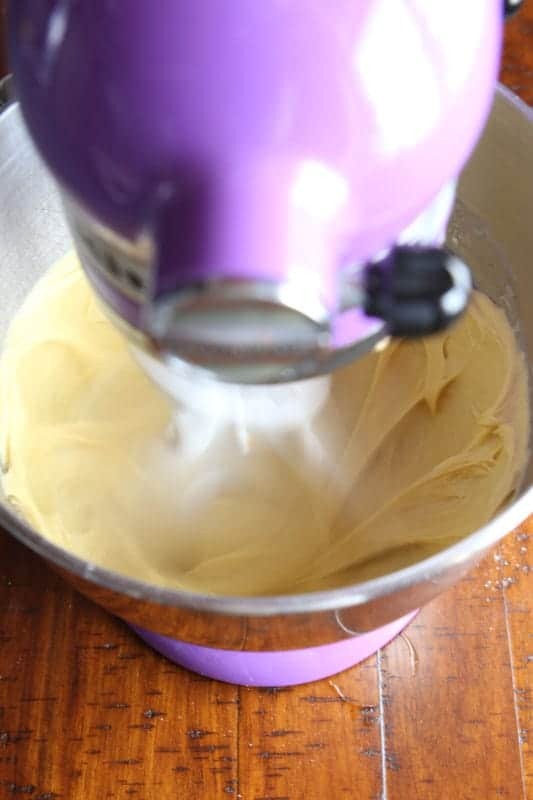 Oh I’m not using any mixer, just hand mixed, again this hasn’t been a problem with other recipes. I was hoping to start using millet flour in my baking but a cake I tried also separated. I might have to just stick with rice and oat flour. i love how u explain everything and i will try it today after i buy some eggs i am missing.i will let you know how it goes.i miss good gf bread to eat or to use as sandwich.i usually bake with brown rice flour and starch with millet but will give this one a chance as the other recipe i make fails me…..
Not sure what wrong I am doing since then, that the batter always comes out super dry and tough…And when I add more water, the bread sinks after baking. Please help me understand what could I possibly be doing wrong. Let’s get to the bottom of this! A couple of questions: 1. Did you make any changes to the recipe? 2. 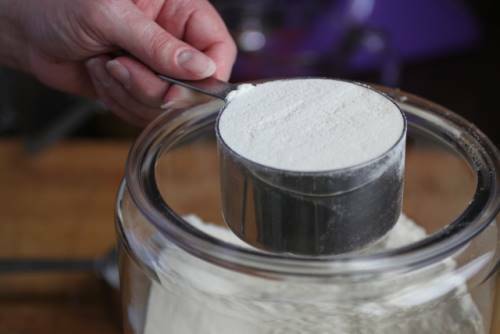 What brand of flours and starches are you using? 3. 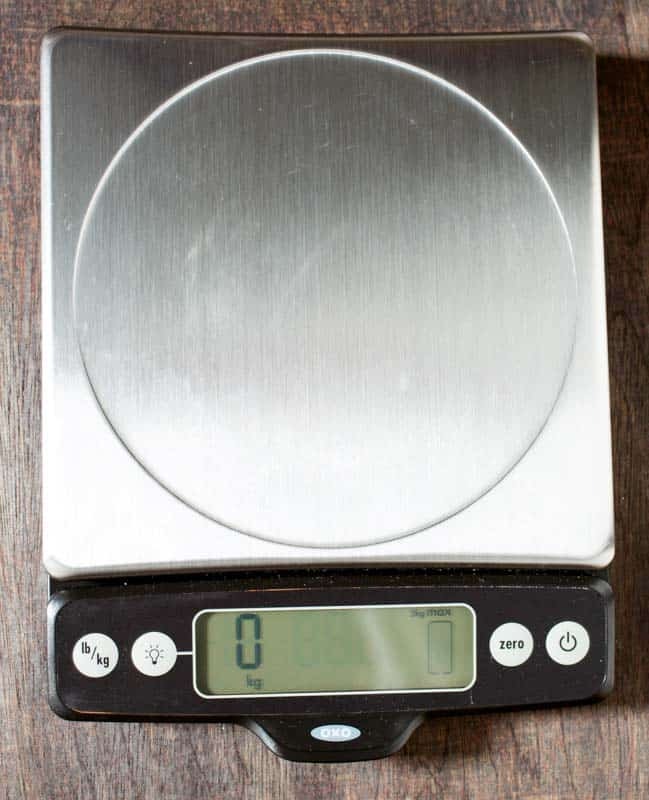 Do you measure by weight or volume? 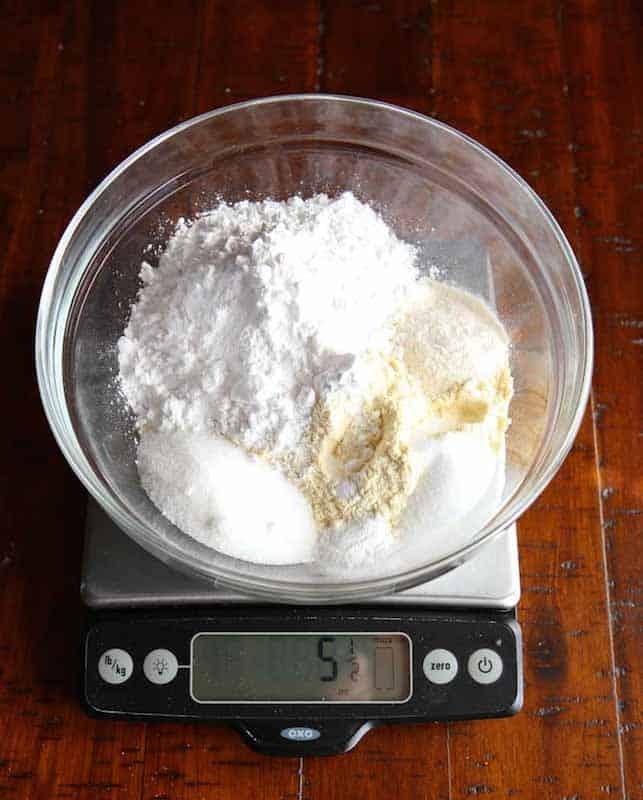 I remember reducing the quantity of flour, as I was using Sorghum flour, which is heavier than millet and absorbs more water. But now I have tried reducing so many times, but it ends up being dry and doesn’t rise much. I have a fussy son so I’d like to replace the millet flour with white rice flour. What quantity would I use? Also, he can’t have any vinegar or lemon juice. Is there a substitute? You can replace the millet with all white rice flour. 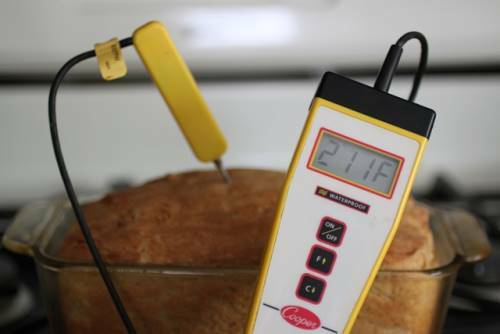 The bread will be a little denser but will still work. As for the vinegar, omit it. The loaf might not rise as high but the yeast will still work. Enjoy! 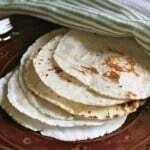 I made this recipe twice using sorghum flour instead of Millet. I also substituted ground chia seed (3 tsp) as I am allergic to xanthum gum. 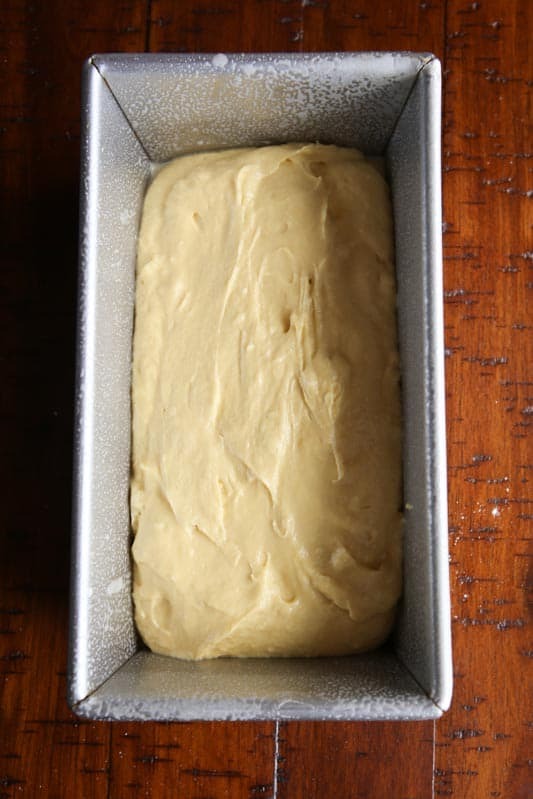 Both times the dough was much more liquid than your picture and it collapsed in the oven within about 10-15 minutes. It had not risen to the top of the 8 x 4 1/2 pan..maybe about an inch below top so I don’t think it had risen too high before putting in oven. Can you tell me what I’m doing wrong. 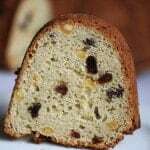 The taste is wonderful but I need a loaf! As mentioned in the piece, this recipe requires xathan gum. Without it, the dough will be very think and the bread will collapse. I don’t have a sandwich bread on the site that’s free from xathan. If I post one, I’ll let you know. You are a genius!!! Yesterday, I made a loaf of bread using your recipe and, I have to tell you, I was so happy with the results that I would have hugged you soooo hard if you had been here. 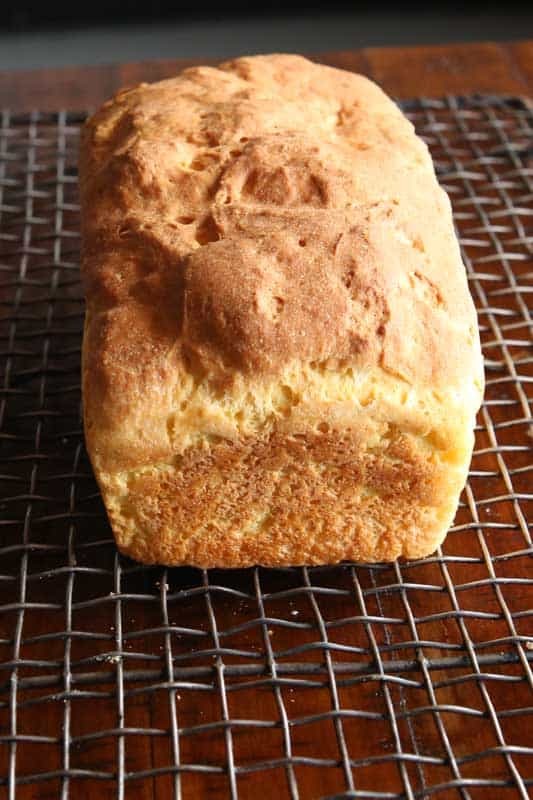 I have only found one other recipe that is worth making again but I have been looking for one that looked and tasted like gluten-full sandwich bread. I am thrilled to have found yours. Thank you! So glad you enjoyed the bread! Yay! Thanks for this great recipe. I have had no problems with it and my GF baby girl loves it! I am making my 4th batch this morning to make sure she has bread with her Thanksgiving dinner. I make triple batches and put more in the regular loaf pan, almost a double batch, but not quite. Today, I only had enough tapioca starch for a double batch, and made 6 little muffin sized ones with the extra. Now, to keep my mom from throwing them in with the regular rolls for serving!! Thanks so much for taking the time to give such detailed directions! Oh, I’m so glad you’re enjoying the bread! Thank you so much for sharing your wonderful recipe. I followed your helpful instructions exactly and my loaf turned out perfectly 🙂 We absolutely love the texture and flavour of this bread and will continue to make it often. Would you sub the sorghum for equal gram amounts as the millet? Yes! That would work great! I am attempting to bake for my daughter who has celtic disease. Found some bread mixes which are ok, but so expensive, so I want to go from scratch. Your recipe looks great, just one question, why vinegar? The vinegar makes it a little easier for the yeast to rise. I am pre-diabetic and the doctor recommended to use Splenda, Truvia (which a stevia blend or sweet and low. Would any of those feed the yeast instead of sugar? Thanks! Hmmm….I know that the Splenda Sugar blend works fine with yeast. Not sure about the others your mentioned. Since there is starch in the recipe in the form of the millet flour and tapioca starch, you should be fine without the small amount of sugar.